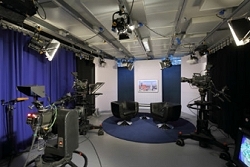 mbw: live TV broadcast studio in Munich. The mbw Conference Center, which is also located in the building, is the ideal venue for live reporting, and is technically linked to the TV studio. The studio and the mbw team are available at short notice for rush productions, even at night or on weekends. For full details, please see the mbw Studio information page.